Edson is an Engineer in Business Administration with a special mention in People Management from the Technological University of Chile, INACAP. He has been working at Colliers as an external supervisor of Inventories since mid-2016. Due to his great dedication and responsibility for the projects carried out, he became part of the Colliers family since November 2017 with the position of Inventory Supervisor. Leading an excellent work team in the field, which has been reflected in the final results of each of the projects carried out and, at the same time, the thanks of the clients themselves. Edson es un profesional con la capacidad de realizar trabajos en equipo, entregando todo para el cumplimiento de las metas propuestas, con un fiel espiritu de cooperacion, proactividad y adaptacion dentro del trabajo que realiza. 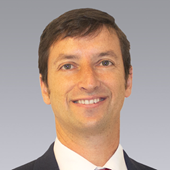 Before joining Colliers, he developed the role in Management and Quality Control in Inventory Projects at Taxo Chile SpA, Project Manager in Inventories and Computer Solutions at Taxo Chile SpA, Supervisor in HR Administration at Banco BBVA. Actively, he is the Chief of Operations for the Corporate Finance department in the Inventory Management Area of ​​Colliers. Rodrigo is a business administration graduate from the Universidad de Chile with an MBA from IESE Business School in Barcelona. He has national and international experience in financial services, and joined Colliers in 2011 as an investment manager. He is currently director of the corporate finance division, where he has successfully led sales processes and large-scale acquisitions.